HiFashion | UK Fashion and Lifestyle Blog: The world's most comfortable shoes! The world's most comfortable shoes! I got them at an amazing price: £8!!! I got them from 'priceless shoes', which I think is part of Barratts shoes. For those of you outside the UK, Barratts is a shoe shop here. I've never been a huge fan of Barratts shoes, but I'm officially converted. And they are soooo comfortable. With heels and flats, I tend to wear them to people's houses first, so I know I won't have to walk a lot. Let's face it, nice shoes always hurt for the first few wears. So I wore them to a friend's house and they felt great. It really was like slipping on a pair of Vans. And I wore them to work and they are amazingly comfortable. They are great to wear whether I'm running to get the boss coffee or just walking around. 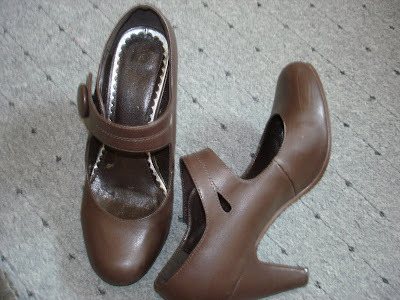 They also look great with all my outfits, from formal trousers to a cute dress. So I went back into Barratts again a few days later and got these for £15. They are also really comfortable. I've been lusting after a pair of pink flats since I saw Katy Perry wearing a pair in 'hot and cold'. wow, theyre really nice. isnt it great when you find amazing things at the places you least expect? its awesome that they're comfortable too. How good are those buys!! You're lucky to find a pair of shoes that looks great and are comfortable to wear! And that price!! THEY ARE SO CUTE!! There's no Barratts in the US that I know of, but there's a DSW? And 8 pounds!!! steal! Cute shoes...I especially adore the flats. I love them both! great picks, and great prices! 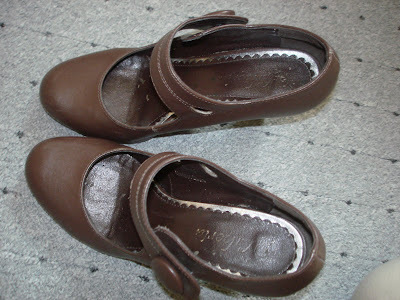 Those pink flats are sweet, but those brown shoes are beautiful/fantastic/awesome! I rarely wear high heels, but I could see myself actually wearing those shoes (even on days void of special occasions)!